2016 was….interesting. The political frenzy was overwhelming to the point that many healer and esoteric types have just been laying low, myself included. I have continued working with healing energy, keeping journals, and embarked on a few Supernal Adventures. In November, my dear friends, Paula and Wayne, visited Oahu. For those of you who have read Ever-Flowing Streams: Christ, Reiki, Reincarnation & Me, you’ll remember Paula had a “miraculous” physical healing of an “incurable” disease via Reiki in 2005. 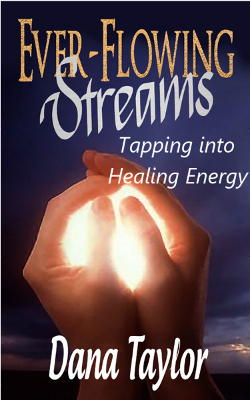 Her healing set us on an exploration of energy healing and multidimensional living. I’ve learned to “expect the unexpected” whenever I get together with Paula. One dark Wednesday evening Paula, Wayne and I took a Mysteries of Honolulu tour with Lopaka Kapanui, a well-known Hawaiian storyteller. He took us to the extreme west side of the island and told of tales of blood thirsty female warriors, Night Walkers, and ancient battles. History mixed with spooky elements for the tourist trade. The final stop was a place called Shark Cave. Lopaka warned us that we might not be allowed to enter by the guardian spirits. Under an amazing starry-starry night sky, he offered a chant at the entrance of the cave. We waited silently a moment and then he signaled that we had permission to enter. “You heard that?” He was very surprised. Of course, he doesn’t know Paula like I do. I’ve seen her channel and even deliver messages from my now-departed pet cat, Buddy. She once called me and said Buddy wanted his bed back in the back yard. I pondered that a moment. I remembered the pile of towels that had been sitting on a shelf. I’d recently taken them in, washed them and put them away. I hadn’t realized Buddy considered them his new bed. Buddy, via cat-whisperer, Paula, got his bed back. That’s just a small sample of Paula’s multidimensional abilities. So, back to Shark Cave. Lopaka told about the old hermit who once dwelled there (and still does), the old woman in another corner, and more disturbingly, the young boys who were murdered by a trusted teacher. The space made me feel dizzy and the image of the old, naked hermit floated in my mind. Paula tuned into the pain of the boys and heard some voices. During the course of the evening I took many pictures. The only one of interest came from Shark Cave. See the variety of orbs? As orb pictures go, it’s only so-so. Then the picture made me smile. If you look at the right foreground, it indeed looks like a cat has photo bombed the picture. Orbs in pictures are becoming more common with the advent of digital photography. Many are merely dust particles. But others appear to be associated with spiritual activity. The Internet is rich with pictures and theories about orbs. One of the more respected books about the subject is, The Orb Project, by Klaus Heineman, Phd. Also visit the Celtic Gardens Spheres of Light website. The orbs in Shark Cave were just the beginning. The following Saturday, Paula and I ventured back to the west side for a full day with the healer and stone whisperer, Angela Pouhakoula, who offers healing classes and tours to the Hidden Sacred Sites of Oahu. I had my doubts. Standing in the kitchen, Paula, Angela and I all sensed the cold spot. But, was it really an angel? Was it male or female? When I spoke to “Asaniel,” was I just being delusional? The day included wonderful moments ~ walking the labyrinth, lunch at an organic farm, a sunset beach ceremony, a lomi-lomi healing session. I highly recommend booking a day with Angela if you visit Oahu. Angela: Did either of you lose an angel charm? Angela: I found one on the floor. Me: Was it in the kitchen where we sensed the cool air? Angela: Yes it was! I’ll send you a picture. This manifested charm answers my questions. It’s definitely an angel; it’s female; she exists. Since that time, I have been addressing Asaniel more frequently. Books about angels say over and over that our angels want to work with us, but they must be invited. During the time Angela and I were exchanging texts, she snapped this picture of her labyrinth. I like to think she caught Asaniel as the blue orb strolling the sacred space. After Paula and Wayne left the island, I figured most of the “unexpected” left with them. But, the latest orb/angel picture popped up Christmas day. The sun was setting on Ala Moana Beach. I captured this moment of my grandson and his daddy and an unmistakable orb companion. I think Asaniel wants me to step up my game. As synchronicity would have it, I downloaded Michael’s Clarion Call by channel Mary Soliel. The easy reading messages from Archangel Michael offer insights about connecting with your angels –and so much more! It is opening my mind to greater creative possibilities to doing the Lightwork so desperately needed as we head into 2017. As we move forward into an uncertain future, it’s wonderful to know our angels are with us. 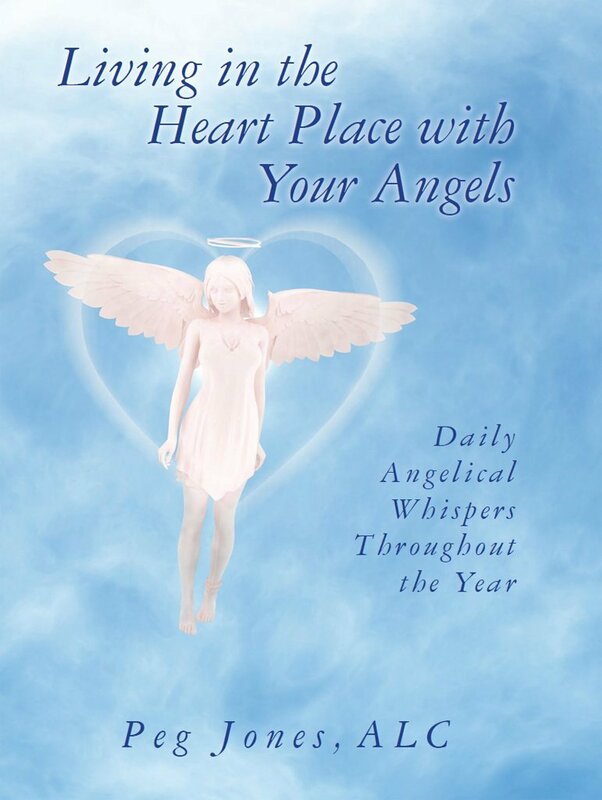 Angelic Life Coach, Peg Jones, has brought together messages from her angels in a daily devotional and spiritual exercise format to foster personal growth. Begin your days with a word from the Angelic Realm! Today we find that when we heal, we heal from the inside out. We get rid of all that is not serving our personal good. The many layers that there are will clear when we are diligent about the healing process. As these layers peel away we will start to feel better and we will be able to see and feel what living in the heart place truly is. We will feel more love and peace within ourselves than we’ve ever felt before. We will feel the clarity of the healing that is taking place. We will understand that we don’t have to hold on to what no longer serves us. Let the Universe help you with this. What are you letting go of and healing today? Think about it and journal about it. The daily journal exercises will help you to see how you can learn to see how the angels can guide you in your life on a daily basis. Available at Amazon and author central on Amazon. http://amzn.to/17sEmGv The book can also be purchased on Create Space at the Create Space Store. Peg Jones is a certified Angelic Life Coach, Author of many ezines that are online, and also a Reiki II practitioner, and an Akashic Records Practitioner. She teaches classes on her website and will be starting her mastermind classes for her book starting in the fall. Peg also has her own radio show on Blog Talk Radio. 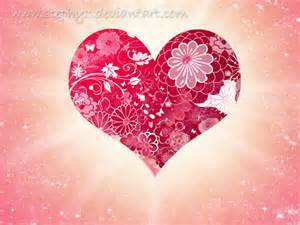 Her page on Blog Talk is Angelical Whispers. Peg’s website is http://pegsangelcalwhispers.com Visit her blog at http://angelicalwhispers.wordpress.com/ Peg lives in Massachusetts with her husband Jonathan. 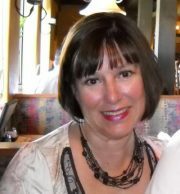 Peg had been a teacher of pre-school and special needs for many years before she became an Angelic Life Coach. I recently came across this author and book in one of my facebook groups. World of Archangels caught my interest, especially in light of what seems like angelic connection in my own healing work. Sufian Chaudhary is still quite young in years (24), but appears to be one of the “old souls” we hear are incarnating on the planet and might be our best hope for the future. I am only about 30% through the manuscript, and it fascinates me. As someone who is increasingly working with spiritual energy, I’ve had several “ah-ha” moments shedding light on some of my experiences. For many, the material will seem really “out there,” but to others leading multidimensional lives, it will be an interesting exploration of the world beyond our five senses. I invited Sufian to send me some information about himself and a short excerpt from World of Archangels. Sufian Chaudhary was initiated into the spiritual world by Archangel Uriel, Jesus Christ and Ascended Master St. Germain. His teachings are channeled by the original Masters who first brought them to life. Born in Australia in 1988, Sufian completed a Bachelor of Commerce with a double major in Accounting and Property Development and started working full-time for one of the world’s largest accounting firms by the time he was only 19 years old. After being in the extremely powerful presence of Archangel Uriel, Sufian has chosen to dedicate his life to teaching the world how to commune with the Archangels. World of Archangels is a spiritual masterpiece designed by Archangel Uriel that retraces the self-realization process that allows you to interact with some of the most influential Beings in this Universe. Regardless of who you are, where you come from or what you are doing, this book contains Universal principles that will redefine your spiritual life. Every single Chapter introduces and explores a powerful spiritual concept. The book is filled with Enlightening meditations, Ancient wisdom and uplifting stories of ethereal encounters with the other side. Whether you are a beginner in this field or an old soul wiser than the day, World of Archangels will help you achieve the next level of your spiritual journey. Throughout history we have been led to believe that there were only 7 primary Chakras within the human body. There are in fact 12 Chakras that act as representatives for the 12 Dimensions that make up our Universal learning environment. World of Archangels delves quite heavily into each of the Dimensions that collectively became known as Creator School. We are each of us developing souls that will one day achieve the 12th Dimension and leave Creation as powerful Creators ourselves. The fundamentals of achieving such a feat revolves around Unconditional Love and expressing ourselves within the extremely heightened existence of Enlightenment. The Archangels are the Beings who convey these teachings down in order to complete the cycle of learning. World of Archangels was written to simply orchestrate such a Divine meeting; the rest is entirely up to Destiny. The book follows a self-realization process that Archangel Uriel hand-crafted for the sole purpose of awakening souls. Each chapter continues this powerful journey, where by the end of the book, descriptive meditations upon activating and cleansing the Chakras, raising the vibration of the human body, communing with ethereal Beings, psychic self defense, healing and the ability to understand Life beyond normal human perception becomes available. With self-realization in mind, World of Archangels aims to excel the spiritual aspirant onto a pathway of Enlightenment with dedicated meditations to empower the human energetic body beyond the normal limitations. Here on Earth we may sometimes become bogged down with all manner of disharmonies that cause us to be shackled into a physical life that was effectively set up for us to fail at some point in time. Sometimes we cannot see the light at the end of the tunnel and many times we may even feel burnt by Life itself for no other reason than for the justification of karmic debt. It may be one of the greatest answers to know the meaning of your life and to understand why you are even alive. To genuinely approach an Archangel; these answers may very well be given to you. To live a fulfilling Life, to be free of limitations, to recognize the nature of who you are and where you have come from; this is the result of becoming an awakened soul. Read more about World of Archangels at Enlightenment City. 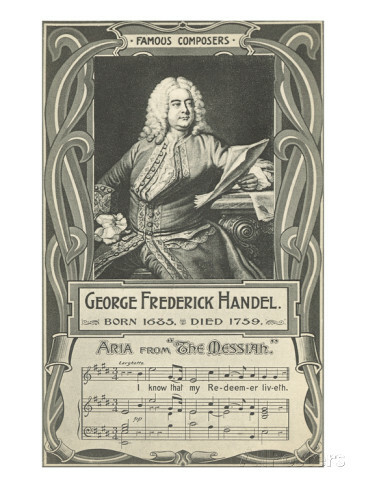 Did George Fredric Handel have “help” writing one of the greatest pieces of music of all time? As a man in his mid-50’s Handel appeared to be well past his prime. A few years earlier he had suffered what was possibly a stroke, paralyzing his right hand. His ability to play a keyboard or conduct musicians had been severely impaired. He complained of blurry vision. He was a man in debt, discouraged, and depressed. By 1741 he had fallen out of public favor. He had a single commission–to write a composition to benefit debtors in a Dublin prison. (A fate he himself had barely eluded). Handel found inspiration in a libretto received from a devout Anglican named Charles Jennens. Comprised almost entirely of King James Biblical Scripture, Jennens sought to highlight God’s interaction with mankind. Handel divided the work into three sections (1)–Old Testament prophecies (2) The Life of Christ (3) Revelation’s End Times triumph over death and evil. Proceeds from the first concert freed 142 men from debtors prison. At a later performance, King George II of England himself stood to the rousing Hallelujah Chorus, thus beginning a tradition that has lasted three hundred years. Angels are God’s messengers. Handel’s Messiah is a Message of Hope for the Ages. Angels come in many guises. Enjoy three stories of angelic inspiration!